NetSuite is the leading integrated cloud business software suite, such as CRM, accounting, ERP, sales force automation, and website development. 4.9 out of 5.0 for NetSuite Development services. 250+ happy clients all over the world and over 250+ projects in the last 5 years. NetSuite is the leading integrated cloud business software suite, such as CRM, accounting, ERP, salesforce automation and website development. Our MChop professionals having more than 4 years of experiences. We offering the following services NetSuite web application development, NetSuite customization, NetSuite programming and scripting, NetSuite CRM services, etc.,. You can hire our experienced NetSuite Application Development team. You just one step away from Quote. Organizations that using NetSuite gained the benefits like cut off the IT costs by 60% or more, accelerated financial close by 25%-60%, decreased order-cash cycle by 55% or more, cut off the invoicing costs by 30%-80%, cut off days sales outstanding by 20%-30% and cut off the audit preparation time by 55% or more. You may change your business strucutre if your business changes. Scale up, spin off, adopt new business models, NetSuite’s flexibility lets you do it all, quickly and easily. Version-lock is a thing of the past. 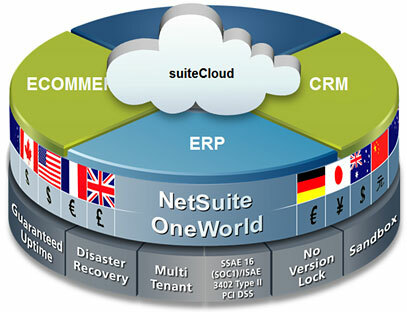 With every NetSuite upgrade, your configurations and customization migrate seamlessly. A single-instance global ERP system is simply unrealistic due to its high cost and complexity. 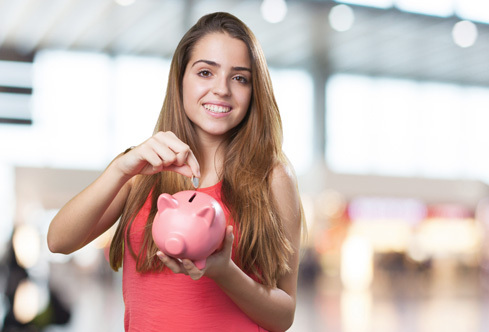 The solution for such problem can be solved by a two-tier ERP model powered by NetSuite. 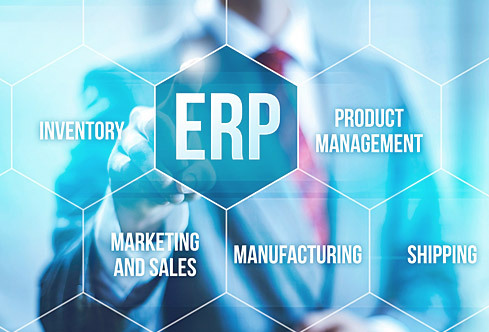 A two-tier ERP system lets you preserve your on-premise ERP investments while equipping global subsidiaries with a more agile, cloud-based ERP/financials system. 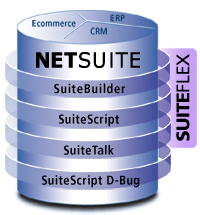 SuiteFlex makes NetSuite the world’s most customizable and extensible on-demand application service, delivering unique capabilities not found in any other on-demand solution. NetSuite customization works wonders to boost the individual strengths of a company, giving them an unbelievable advantage in the ecommerce arena. Brand development, sustenance and visibility expansion on ecommerce platforms, would be impossible without NetSuite customization. We have a deep and unique understanding of NetSuite technology that allows us to help you tailor NetSuite to address requirements such as regulatory compliance or process optimization, as well as the requirements of your specific industry or business.